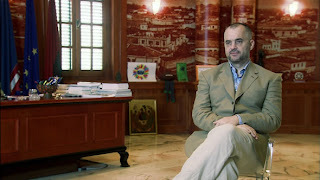 I like Edi Rama because he's a Lorax. Like our little yellow friend, Edi speaks for the trees. Or more precisely Edi has been doing a lot of speaking about trees. Not just speaking. 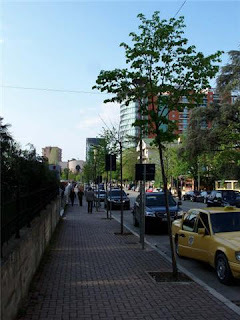 The Tirana mayor's office has been planting trees like crazy all around the city. 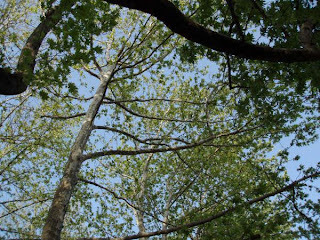 The latest report I saw said the Bashkia had planted over 8,000 trees along the roads in Tirana as part of the "Nje qytetar,nje peme" project. "One citizen, one tree." I hope he reaches that goal. 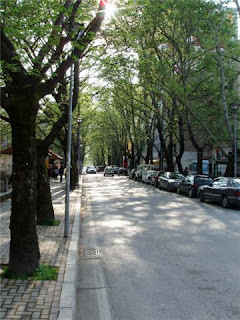 There are few cities on earth that need the healing, cleansing presence of greenery more than Tirana. On a late winter walk the sun sets low at the end of the road and it's hard not to get a little depressed at the bare concrete and skeletal limbs of the trees. A few weeks later and what a difference! By the end of May the canopy will stretch across the road keeping the temperatures in the tolerable range. The little trees lining these stretches of street were planted in February and are just starting to green. It will be years before they come close to fulfilling their potential, but it's a wonderful beginning. 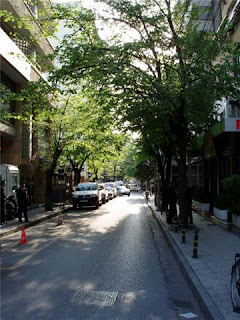 One day every street in Tirana will be as lush and shade-dappled as this one with an overhead view like the one below. For these things I like Edi. I also like the good folks at Raiffiesen Bank, BKT, Tirana Bank, and many others who are co-sponsoring this effort. 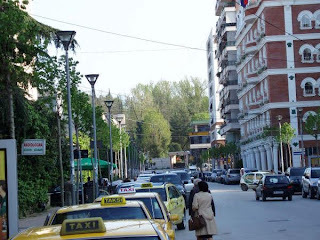 They are taking the small steps necessary to lift the quality of life for everyone who lives (and breathes) in Tirana. They may not have been raised on Dr. Seuss like I was, but they must understand the sentiments of the last lines of the "The Lorax:"
was a small pile of rocks, with one word... "UNLESS." I'm glad to see such a wonderful project take shape. I remember talking about a similar idea with the Mayor a few years ago, involving children. Hurrah to the Banks that have stepped in to afford this realization. 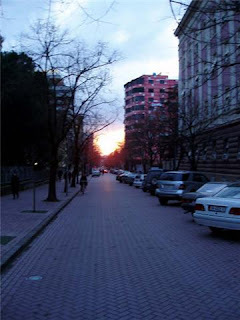 An American who accidentally stumbled into Albania and fell in love. Tirana Hash | On On!